The view from the room was incredible! The bar area was also really nice with super friendly bar staff. 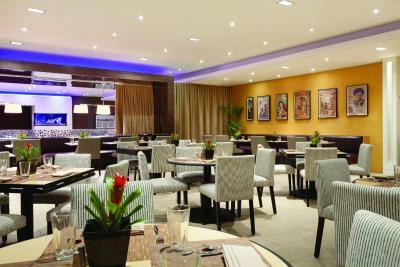 The location is also fabulous, close to lots of great restaurants and easy to get around. Loved the location! The mattress and pillows were heavenly. I don't think I have slept that good in months. The room/bathroom was super clean and the view was great. The hotel had lots of fun cultural touches and decor and we thought the cucumber water in the lobby was delicious and a nice amenity to have out for the guests! Overall, we loved our stay! The hotel was very well-maintained, uber clean, and very comfortable. The best part of this hotel was the very nice front desk employee that checked us into the hotel. She made a very good first impression of an already very impressive hotel from its outside architecture and the decor in its lobby and surroundings once inside. 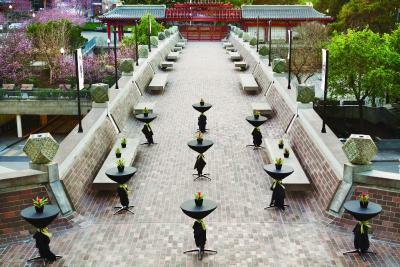 The location is wonderful, especially for Chinese New Year. It is in the heart of China town and restaurants. Our room was comfortable and good for senior citizens. The restaurant also offered good food. Clean room comfortable bed polite staff efficient check in and out. The scanners in the business center were not working. 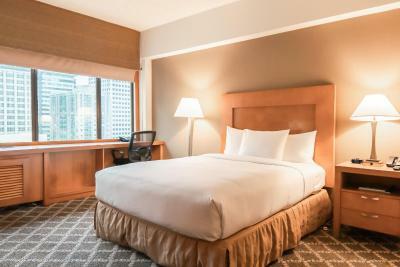 Hilton San Francisco Financial District This rating is a reflection of how the property compares to the industry standard when it comes to price, facilities and services available. It's based on a self-evaluation by the property. Use this rating to help choose your stay! 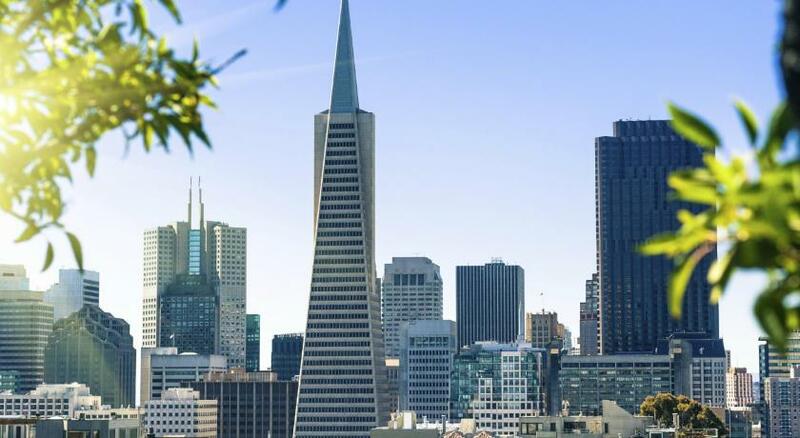 Located in downtown San Francisco, located on the crossroads of the Financial District, Chinatown, and North Beach, Hilton San Francisco Financial District is conveniently located on the crossroads of Chinatown and the Financial District. 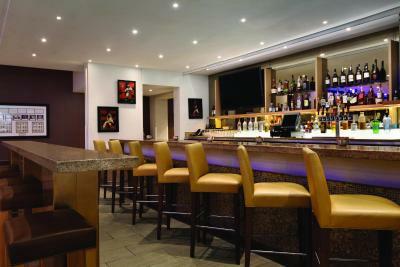 It features an on-site restaurant and bar and an award-winning concierge service. 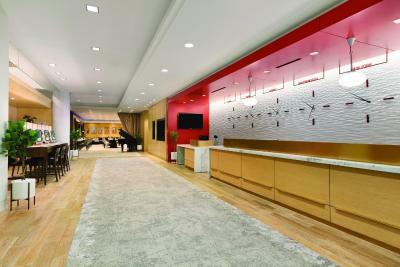 A flat-screen TV is included all of the air-conditioned rooms at Hilton San Francisco Financial District. 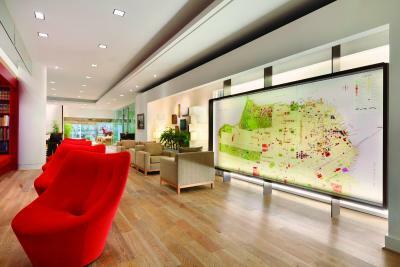 Each room is furnished with a large work desk and an ergonomic desk chair. 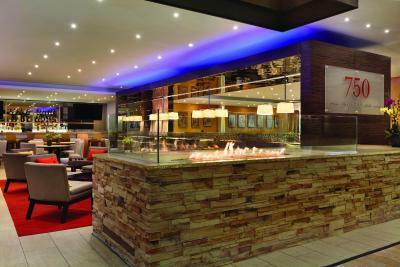 The on-site restaurant, 750 Restaurant and Bar, serves diverse cuisine with a California influence. 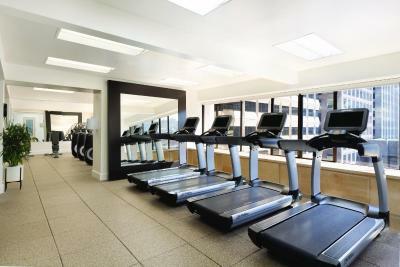 The fitness center, business center and reception at the San Francisco Financial District Hilton are all open 24 hours a day. Fisherman’s Wharf is 5 minutes' drive from the hotel. 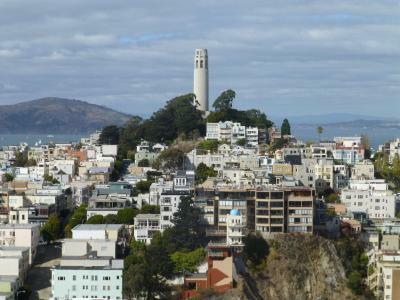 The Alcatraz Island ferry is 1.3 miles away. 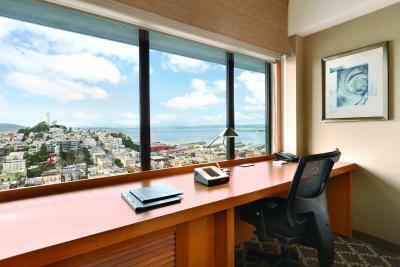 When would you like to stay at Hilton San Francisco Financial District? Public parking is available on site (reservation is not needed) and costs USD 60 per day. This room has cable TV and tea and coffee-making facilities. This room also includes one double bed. 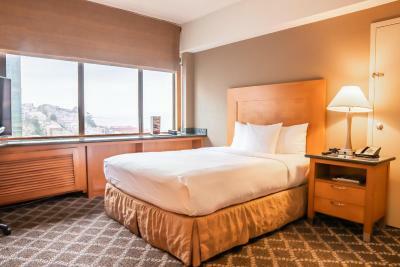 Featuring a flat-screen cable TV with pay-per-view channels, this room also provides a spacious desk coupled with an ergonomic chair and free Peter Thomas Roth spa toiletries in the private bathroom. Free Lavazza Italian coffee and coffee-making facilities are also provided. 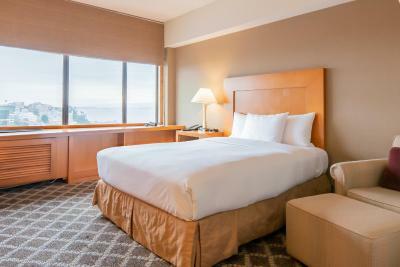 Featuring a bay view, this room provides a flat-screen cable TV with pay-per-view channels, a spacious desk coupled with an ergonomic chair, two telephones and free Peter Thomas Roth spa toiletries in the private bathroom. Free Lavazza Italian coffee and coffee-making facilities are also provided. Featuring a balcony with a bay view, this room provides a flat-screen cable TV with pay-per-view channels, a spacious desk coupled with an ergonomic chair and free Peter Thomas Roth spa toiletries in the private bathroom. Free Lavazza Italian coffee and coffee-making facilities are also provided. Boasting bay views, this room is equipped with cable TV, plush robes and tea and coffee-making facilities. It includes an ergonomic chair and work desk. This room is equipped with cable TV, plush robes and tea and coffee-making facilities. This room is equipped with cable TV and tea and coffee-making facilities. It includes an ergonomic chair and work desk. Boasting bay views, this room is equipped with cable TV and tea and coffee-making facilities. It includes an ergonomic chair and work desk. 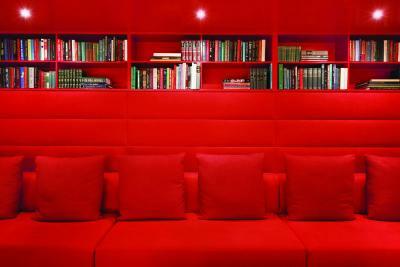 This disability access room is equipped with cable TV and tea and coffee-making facilities. 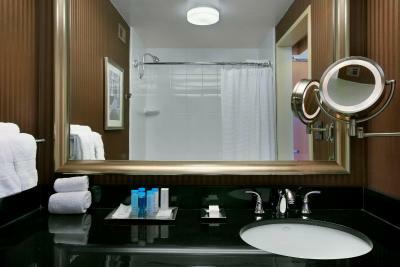 This spacious suite is equipped with a 42-inch flat-screen TV, a mini-fridge and a living room. 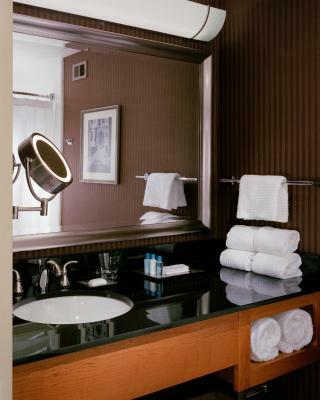 Featuring access to the Executive Level, this room provides a flat-screen cable TV with pay-per-view channels, a spacious desk coupled with an ergonomic chair, two telephones and free Peter Thomas Roth spa toiletries in the private bathroom. Free Lavazza Italian coffee and coffee-making facilities are also provided. 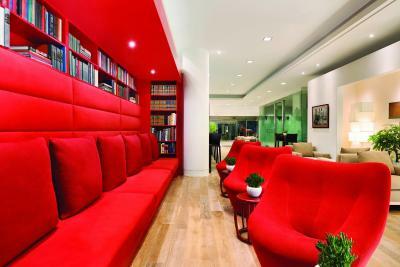 This air-conditioned suite includes plush robes, coffee making facilities and an ergonomic chair and work desk. 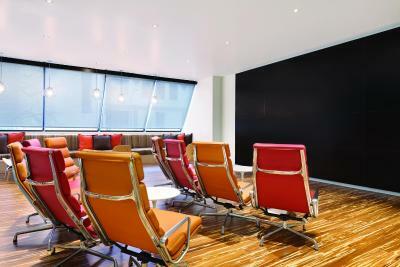 This air-conditioned room features a cable TV and an ergonomic chair and work desk. WiFi is available in all areas and costs USD 10 per 24 hours. 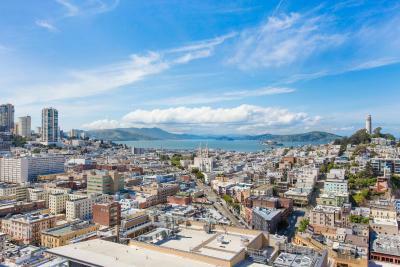 House Rules Hilton San Francisco Financial District takes special requests – add in the next step! 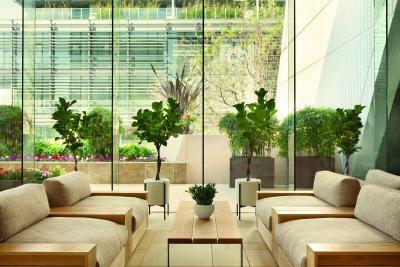 Hilton San Francisco Financial District accepts these cards and reserves the right to temporarily hold an amount prior to arrival. Please note that extra beds are available upon request and are based on room type and availability. 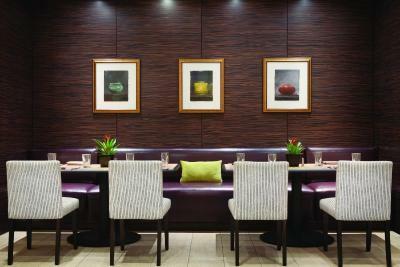 Please note: Guests who check out before the checkout date will be charged a penalty of one full night room and tax. The windows were dirty and the wifi connection didn't work. 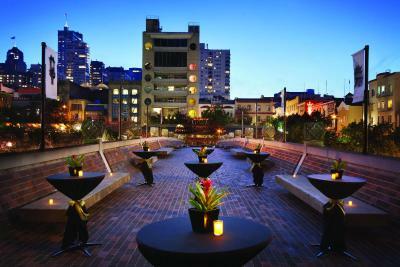 The hotel is centrally located and it's easy to travel to/from SFO airport by public transport. Our room had an amazing bay view, beds were very well, and a friendly staff. Wish they had a fridge and a microwave in the room but , besides that it was great !! 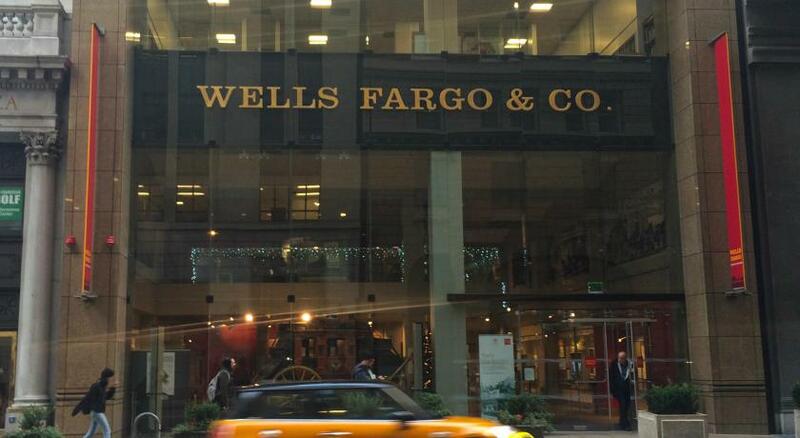 Great proximity to financial district, Chinatown, Embarcadero, and more. Rooms nicely appointed. Great front desk staff! You have pa y for WiFi. Room is expensive enough already. If you have a car, you are going to pay a lot for parking which is a general San Francisco problem. The Hilton lot was $55/day. I parked in the lot across the road which was still $32/day. Our stay at the Hilton was enjoyable. 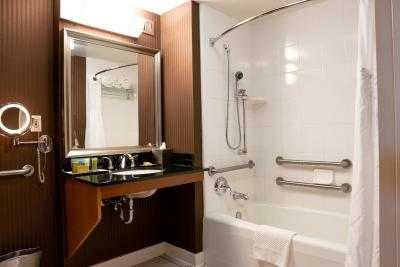 It is conveniently located near a lot of the tourist attractions. Staff not friendly, the moment they found out I use Booking.com their Attitude changed. The parking was $50 dollars. Even though the sign outside said 7 per hour. The quality of the beds was cheap. No complementary water expect to pay $3. Been a former Hilton Hotel Employee I Remember I was proud to say were I work, I would be ashamed to say it now. Honestly for what I paid, I didn’t like too much about my stay. Room was next to elevator shaft. Noisy the whole night.